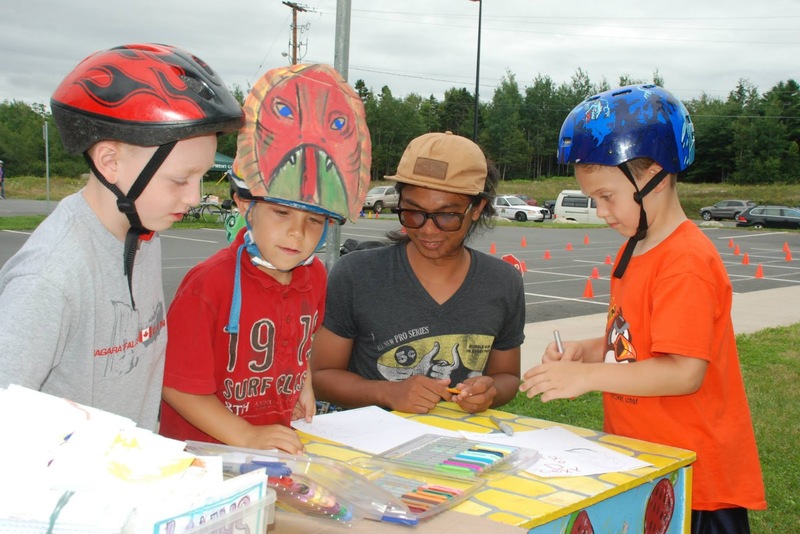 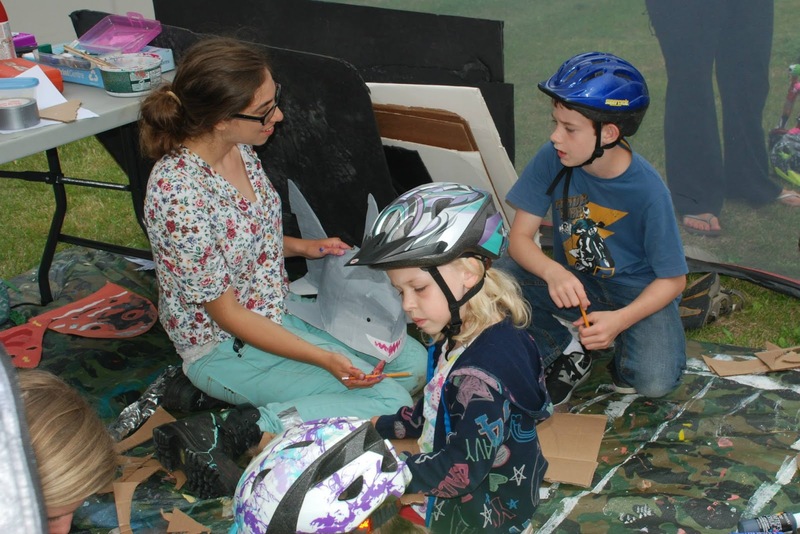 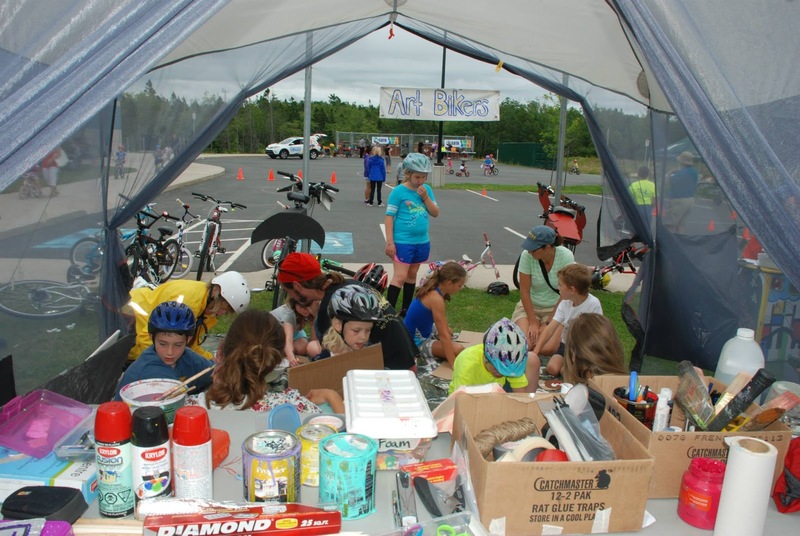 The wonderful people of Porters Lake organized an incredible bike rally for the youth of this community and invited us to come and facilitate a bike and helmet decorating workshop. We originally were trying to follow there theme of "The Wild, Wild East", but as you can see, many different wild and wonderful creatures were created! 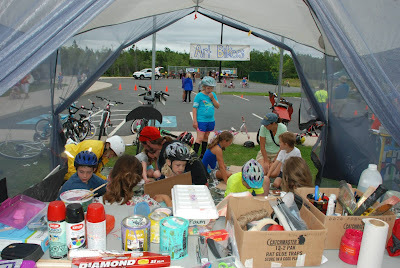 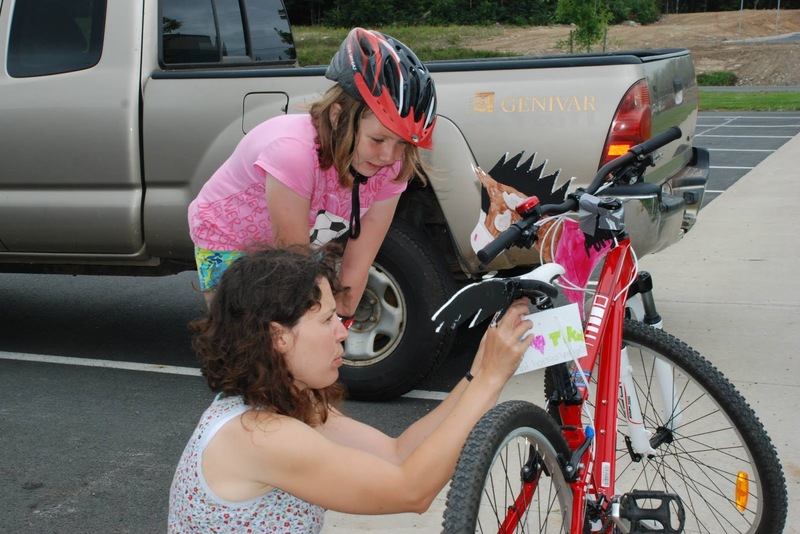 We had a truly great afternoon with these families making magical creations and then going on a back woods bike trek! horses need a licence plate too! Angry Birds - Art Bikers style!